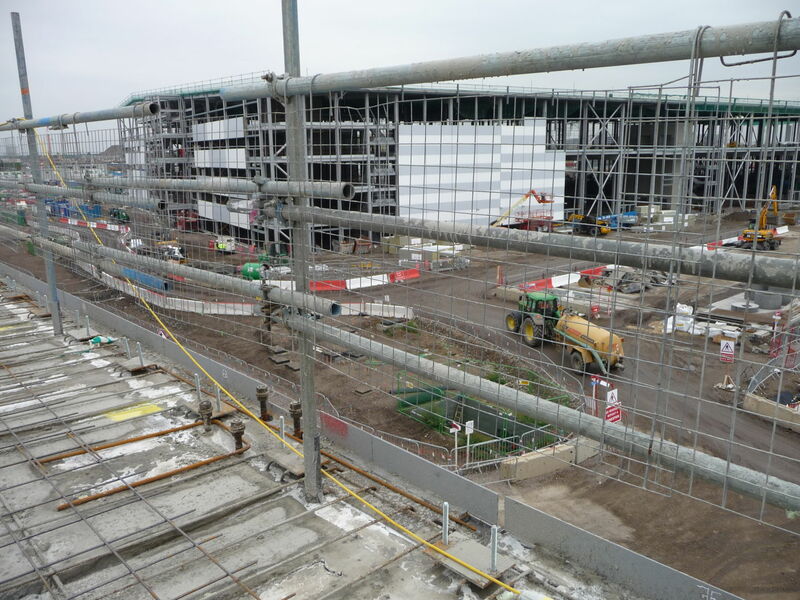 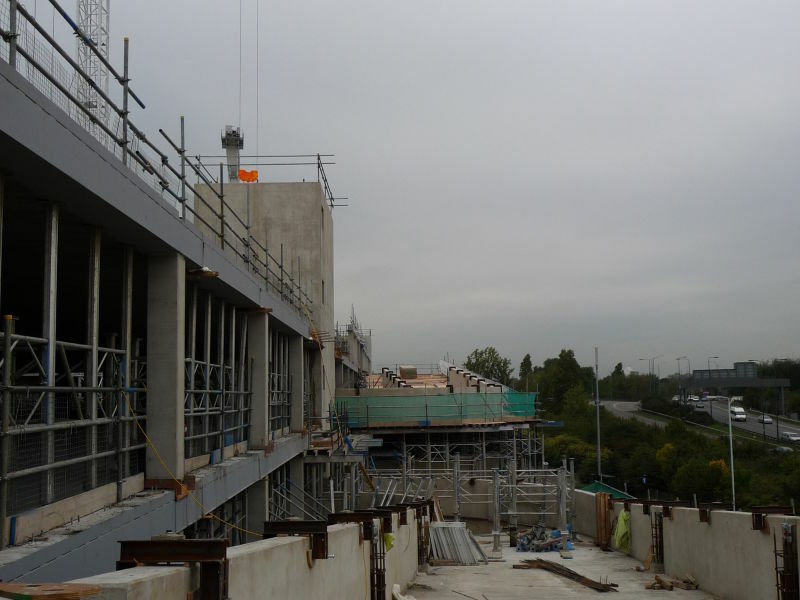 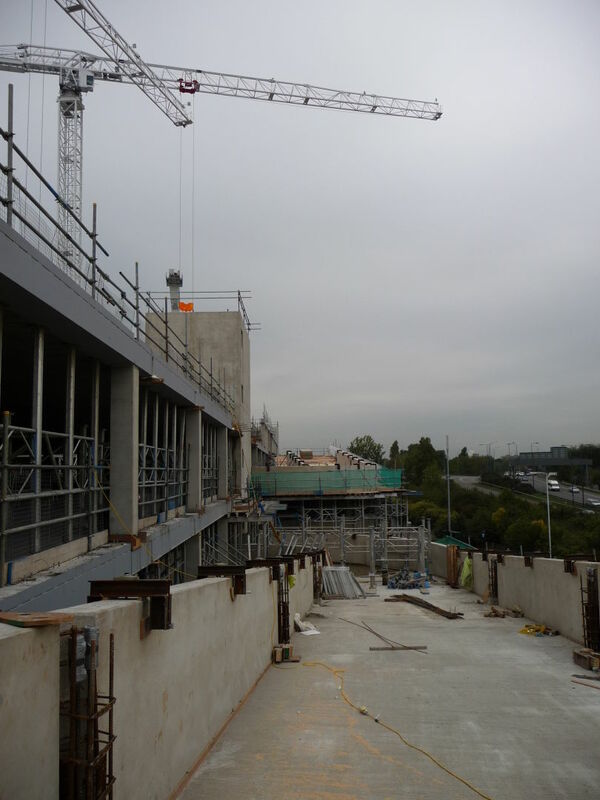 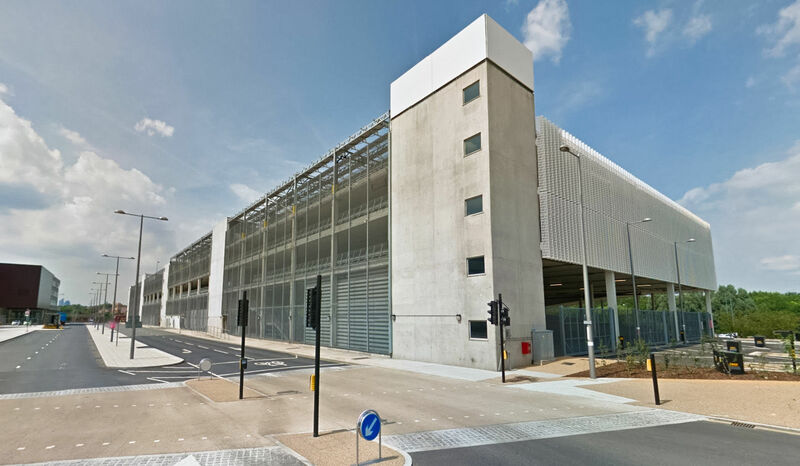 1500 space multi-storey car park constructed using precast frame, DELTABEAM® and long span Hollow-core. 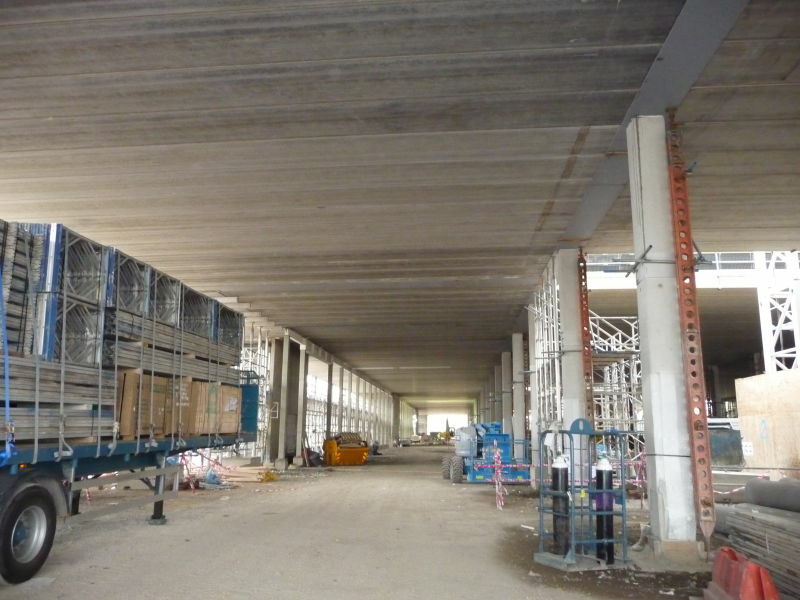 Provides minimal column intrusion to parking space and flat soffit, slim floor economic construction. 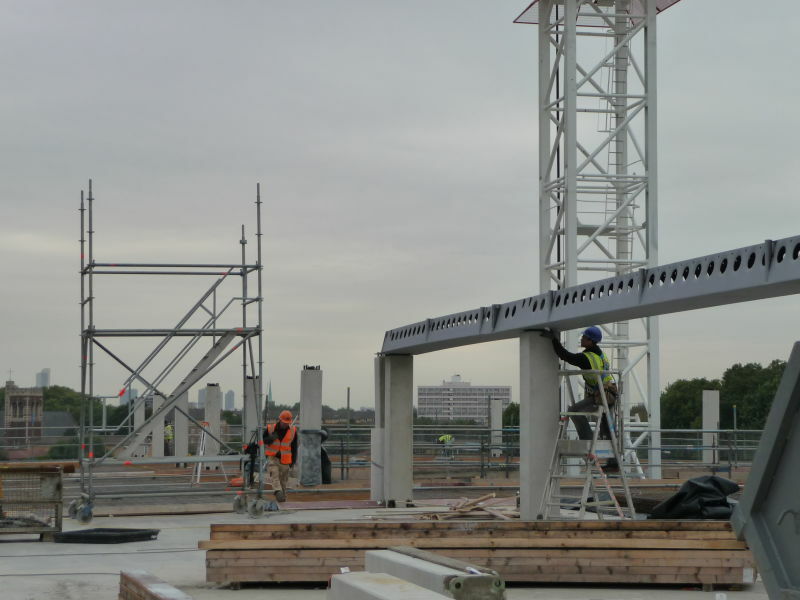 This project combines the best in hybrid construction. 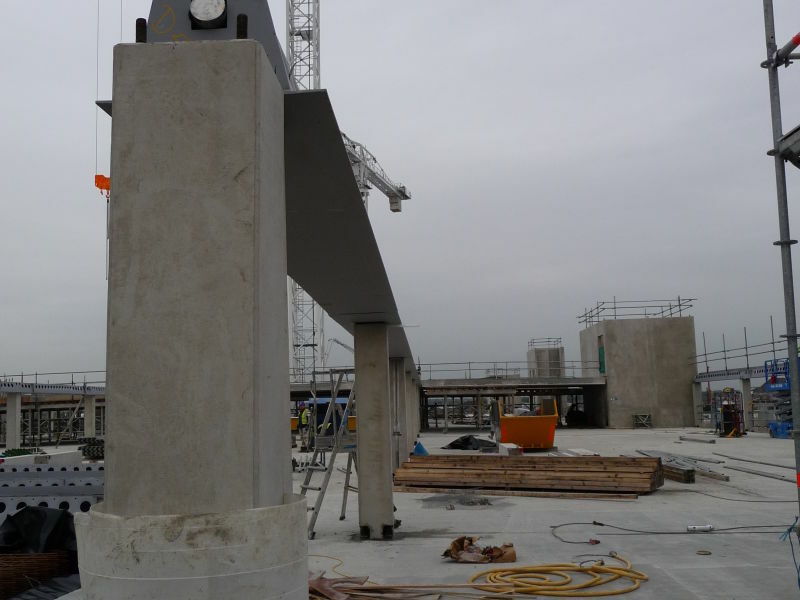 Precast columns used Peikko Column Shoes to fix to foundation and splice anchors (thus eliminating the need for propping and associated cost and trip hazard risk) for the frame. 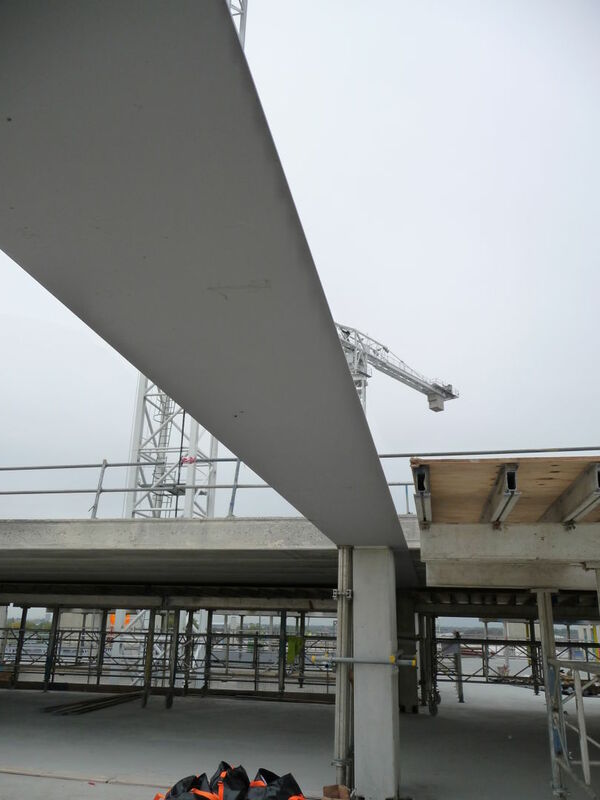 DELTABEAM® used for spine and perimeter beams to support 400 mm Hollow-core. 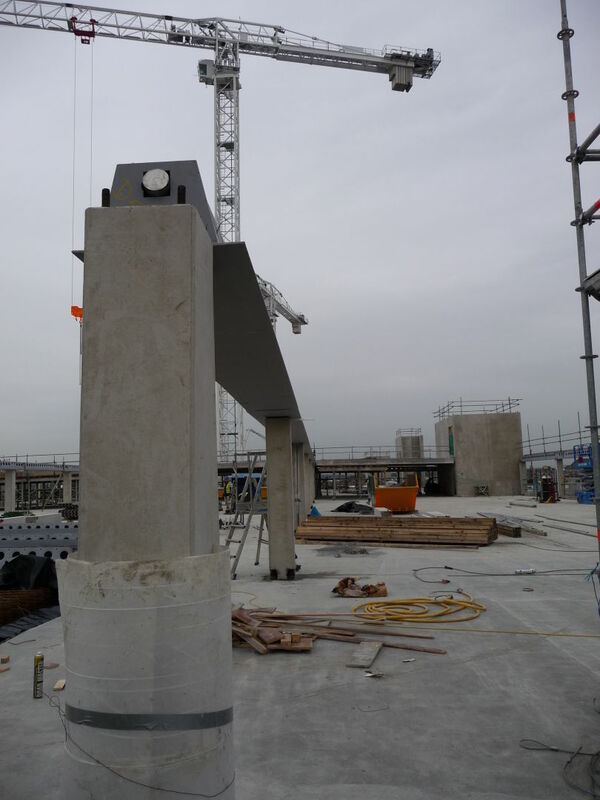 DELTABEAM® sits inside the floor section, so including in-situ topping, overall floor section is less than 500 mm. 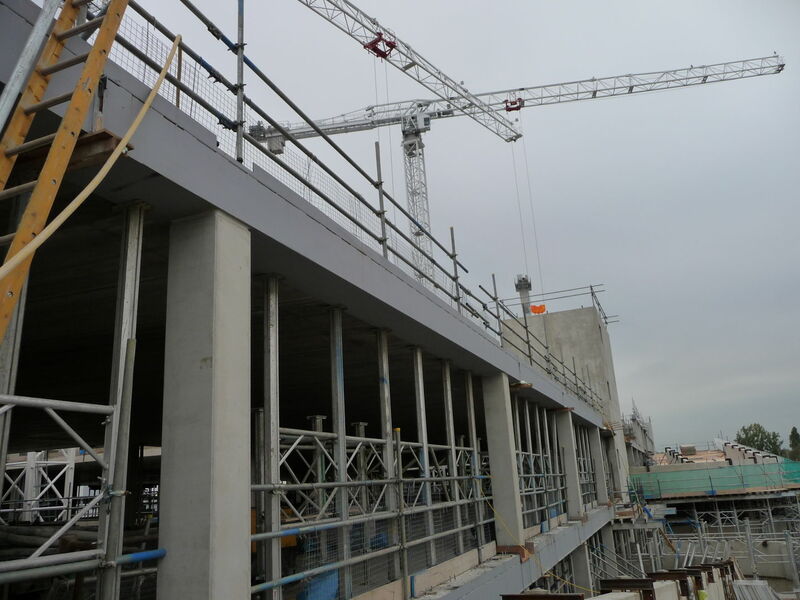 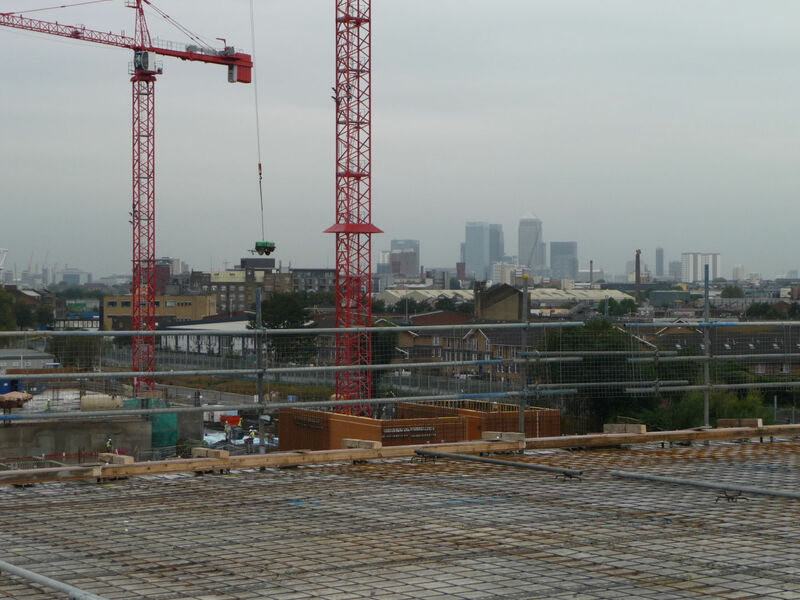 Perimeter DELTABEAM® Composite Beams have an external permanent formwork plate factory fitted – this allows for accurate filling & screeding of topping concrete. 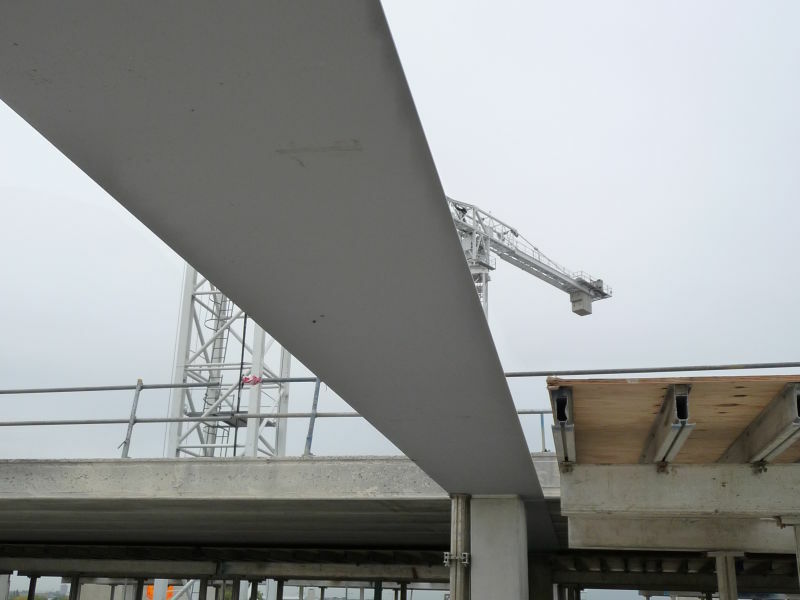 Edge protection is fixed to DELTABEAM®s at ground level before erection, ensuring that when erected there is immediate leading edge safety.